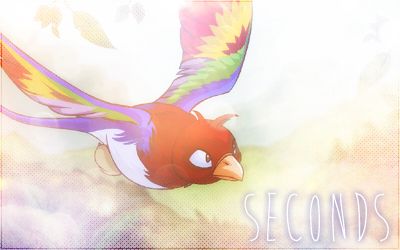 Hello there, and welcome to Seconds, a new graphics request site by Aaron since April 11, 2015. Through Seconds, I hope to be able to share my love for graphics and layouts with you. Here at Seconds, you will find graphics that are handmade and rendered in a soft, richly-textured approach. I personally like to use a lot of light spots to give everything I create to achieve dream-like results. Coding-wise, I love incorporating many different layers that overlap in a coordinated fashion, creating more depth to each layout I approach. Each piece is lovingly assembled using Adobe Suite, and then checked in Chrome and Safari (1280 by 800px) on my Macbook, as well as on the iPhone. I hope you enjoy your new graphics! 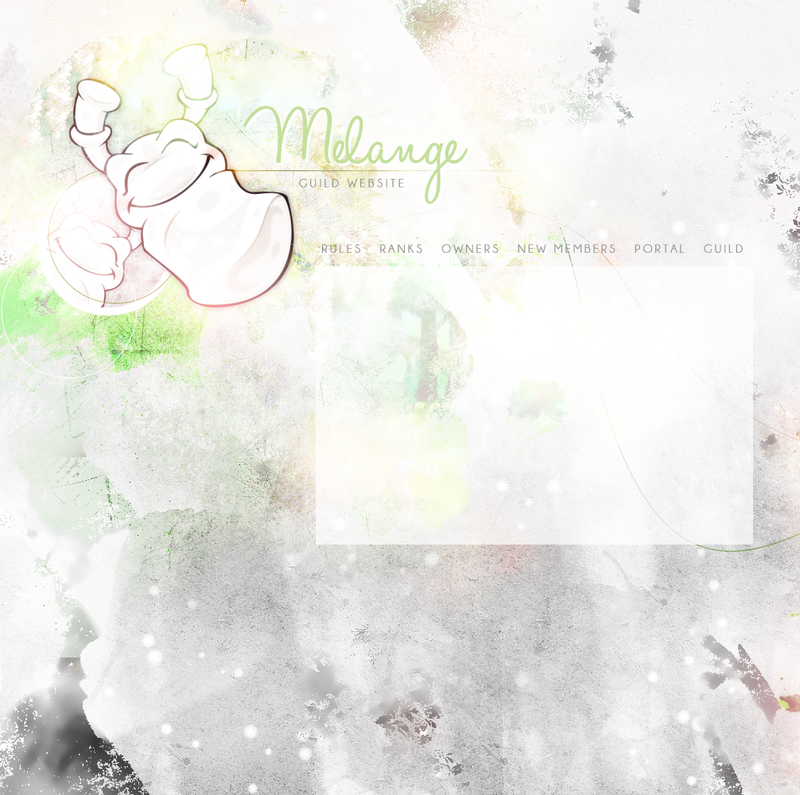 The new layout I made for Melange is my new favourite. My partner is leaving town for the next two weeks, so I'm feeling all the "I Miss Yous" already. OitNB is my new best friend. I have a new layout, but I can't decide if I should put it up because it's so out of the norm. The dead boards mean I can't lurk on Neo while at work. Layouts are closed for now, will come back once I clear my wait list. I'm excited to play with puppies at the local pet shelter tomorrow! I also need to remember I'm allergic to rabbit fur and I cannot pet them even though they are oh. so. cute. Sasha from A Small List has ranked Seconds! Snaps for Sasha! Taking 2 petpage requests, first come first served! Gonna be away for a week, so requests are closed. Will open them again when I'm back! Another day, another day, nothing newsworthy today. Now affiliated to Colorblock, where you'll find unique and easy-to-use layouts by Elena. I'll continue keeping requests open, so I can get in more graphics before the weekend, after which I'll be busy so requests will close then. TL;DR - Accepting 2 petpage requests before the weekend comes. First come first served. I'm taking 1 more request! Now listed at Autumn Rain! I'm still keeping petpage requests open, along with all my other requests. No one wants an animated video avatar? What a terribly awful weekend. Gonna be AC-ing to distract myself. Accepting 2 petpage requests for now, but if work isn't as crazy as I expected it to be, I'll keep requests open. As part of my new portfolio, some of my favorite graphics have been put up. Click here to check it out. Lastly, leave me a comments card! Click on the Extra page, and Awards & Testimonials. Now affiliated with Meiyu, who does amazing NR, anime, Disney and KPop graphics, just to name a few. Check Aly's site out! The site lag is making YYB a chore to play because my players keep freezing mid-game. 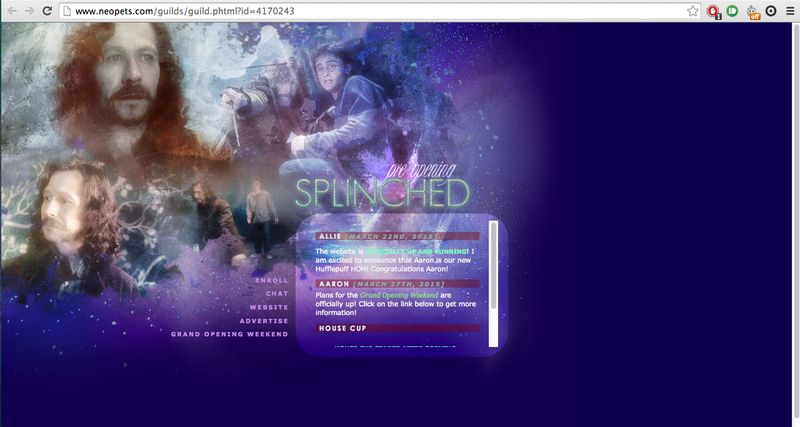 Wow, the sporadic downtime is annoying. Seconds is now listed at Asura. Please stop by and spare me a rating/comment. Closing requests for petpages for now, so I can work on the current ones before opening them up again. I am taking 2 requests for petpages, so I'll be accepting requests on a first come first served basis. I am proud to be a part of the beta phase of Sitesaholic, which is run by Connor. More information will be updated when ready, but for now, you can head to his page to read up more on the program. All Seconds-related updates to Sitesaholic can be found under the Sitely page. Pick-up section has now been revamped for neatness. Now affiliated with Pentool, a PNG site that offers high-quality resources run by the ever-affable Thomas. Depending on how crazy work is this week, I may open up all requests soon. 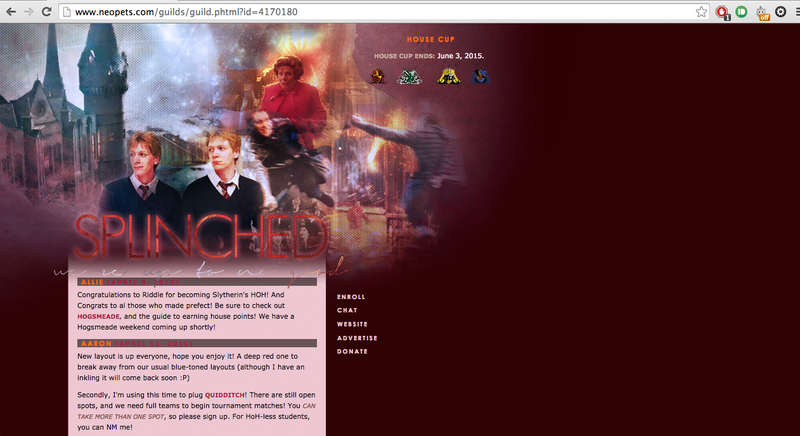 I pig-headedly reset me "About Me" page to default. Welp, since it's a public holiday today, that'll be my task today too. I am a sloth this weekend T^T. Requests are taking longer than expected because real life keeps getting in the way at the last minute. In other news: EXTRA PSYKED FOR ALTADOR CUP X! 1,000 page views. I am crying while drinking juice and eating pretzel sticks with Reese's Peanut Butter Spread. Thank you for stopping by! Petpage requests are closed. I'll get working on them this weekend. You know what's worse than work? Having to work while being ill. Bleurgh. 900+ views?! Y'all too nice to me. *cries*. Requests are opened for: Banners, Petpages, Icons, Avatars. Wait time is about 3 days. It's been a long while since I posted but my new job has been ker-ray-zee. I'll be opening requests again soon but in the meantime, just updating to say Seconds won an award! 3rd place at Blossom. Back from my vacation, and plenty of new things up! The awesome Kiwi from Fiasco made me a new button. New pages in my Extras section! I'm going to start offering resources, but that page is coming soon. I'll be updating it with more things in time to come. I'm going on a short vacation today through to Sunday, so I won't be replying. I'll close requests for now, and open it up after I'm back. Sparklingly new link back button from Cam at SDiE! 500 views! Awwww, thanks everyone! You is kiiind, you is smaaaart, you is important. Lastly, I'll be developing my Extras section in the days ahead. Look out for new things! 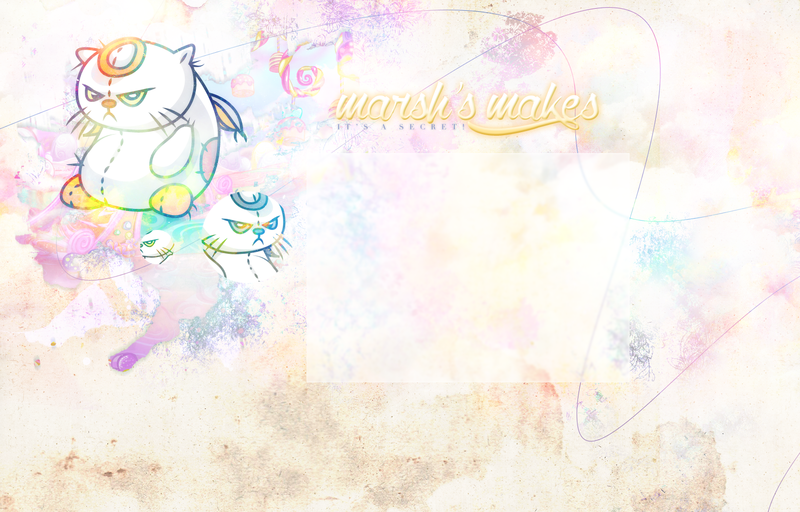 I get bored of layouts fast, so new layout is up! 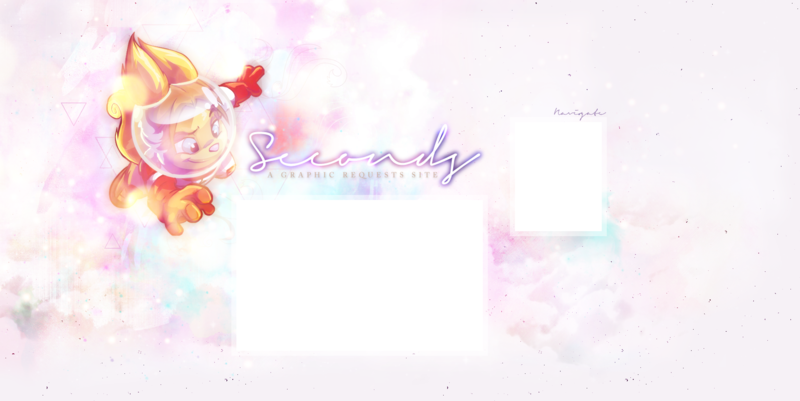 It has a neater layout, and feels more summery! Now affiliated with Satellite, Marshall has an awesome site! Now affiliated with Buttoneer, check out Thomas' awesome buttons! 01. Always leave the credit intact. 02. Even if you are going to alter the coding or use new images, please leave the credit back to Seconds. 01. You may not redistribute my graphics as your own. 02. Please do not make huge modifications to my graphics. 03. I work with NR and HP images only. 04. I put a lot of work and time into the graphics, so please use them. 01. Please spend some time to craft a thorough request. 02. Once a request is sent in, no changes will be made. 03. If you have trouble filling out a request form, let me know and we can work it out together! 04. Requests take about 1 - 3 days to complete, and 3 - 5 days during peak periods. 05. Please put the word cheese anywhere in your request. 06. I reserve the right to reject any request. 07. I will reply you within 48 hours. 08. Lastly, please be nice. Please fill out the form below and send it to me! Worry not! To find the Save Changes button, try zooming out on your browser by pressing CTRL and - . Alternatively, click here to read more about saving changes. can i change the coding? Sure, but as unless you are rewriting the entire code, please provide credit back to Seconds. how many graphics can i request at a time? You can request a maximum of three graphics per request, and you may submit a request once a week. what sort of graphics type can i get? I work best with NR and Harry Potter-themed images. I will try other genres but I strongly recommend that you prepare high resolution images in this case. can you copy the style of this graphic that someone else has made? This one is a tricky one to tackle and explain, but the short answer is: no. A large part of each request stems from what I am inspired by, and from there, I incorporate all the things you require a layout to contain (like number of boxes or colour scheme). However, every designer has his or her own aesthetics. Please do not ask us to mimic each other so that your pages will match. I can try to create pages that compliment your existing pages, but I won't copy another person's work to a tee. If you'd like matching pages, I would suggest you put in a request for all your pages from one person. if i want to provide you with images to use, what are the requirements? They have to be high resolution images for a beautiful graphic to work. As a rule of thumb, images for banners should be 500px by 300px and images for layouts should be 800px by 600px or larger. Secondly, if you are providing me with your images, please provide credits on your own for them, if required. All the beautiful buttons that I am proud to have had on my site, now viewable here! The Lunch Box, for the bullet points. Details, for the textures and the PNG. This is a listed point. Site by Seconds. PNG by Aroma. Image mapping by Kacizilla.